Take this bag along as the perfect companion for a day out in the city. 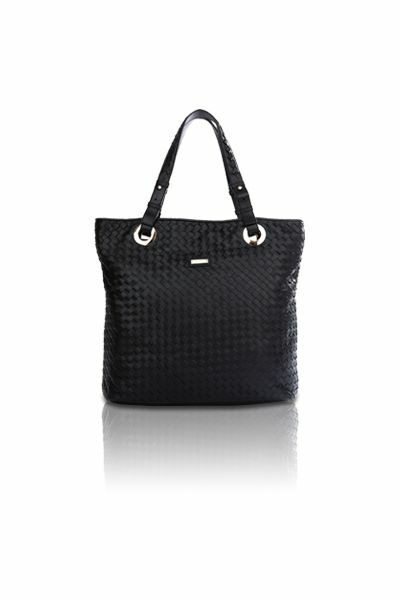 Soft and luxurious black leather woven into an intricate design. Gold hardware and a gold RIONI Moda Italia emblem. Double leather handles and a detachable shoulder strap. 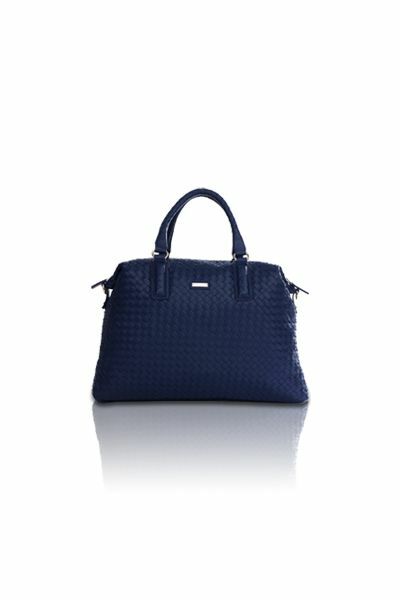 The top opening features a double zipper to facilitate the ease of opening and closing your bag. Black fabric RIONI monogram print lining. The spacious interior contains a side zippered pocket, a cell phone pouch, and a side pocket for organization. L18 x W2 x H14"
Product: The Woven Bowler (Black) was added to cart.